You guys remember my post about error mug, right? Well, Nebraska’s design wasn’t the only one Starbucks made the mistake in. As you can guess, other mugs which hasn’t been spotted in stores yet, are the ones with “issues”. 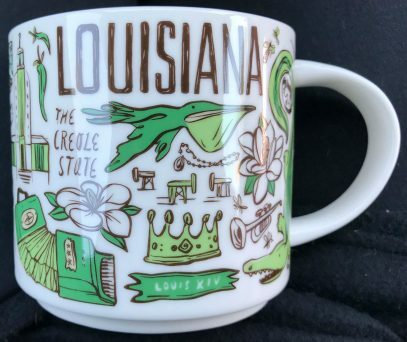 There was an assumption that other “error” mugs didn’t make it to stores or were destroyed before the release, however a photo of Starbucks Been There Louisiana mug has just been revealed in the Facebook community. 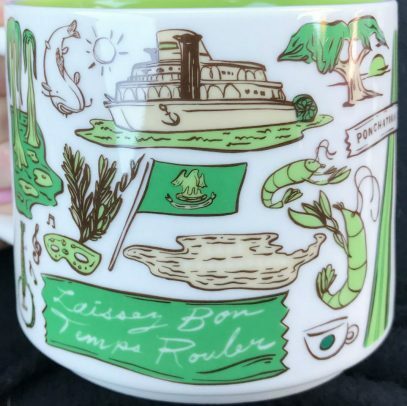 Look closer at the back of the mug, it says “Laissez bons temps rouler” (Cajun French) that is literally translated from the English expression “Let the good times roll.” Well, the right phrase should be “Laissez les bons temps rouler”, which means Starbucks missed “les” word and is now going to replace the mug with the “fixed” one. 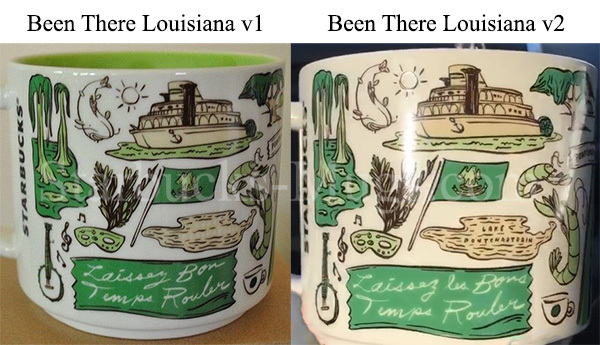 In other words, expect a second version of Starbucks Been There Louisiana mug really soon. As of v1 – it is an unicorn. There could be just couple copies existing now, though I tend to believe, that some baristas hoarded these and waiting for the right moment to sell them on eBay or similar online store. So keep an eye, guys. There is something I missed, when preparing this post. In fact there were two misprints! 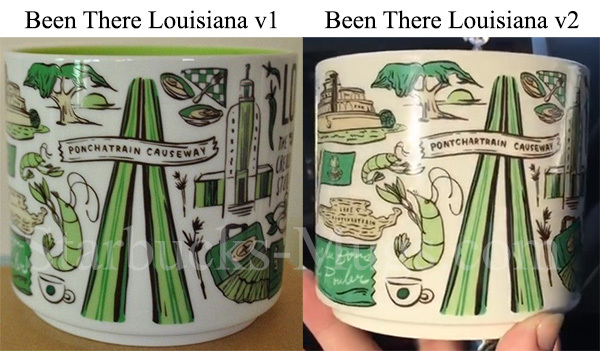 The second one is “Ponchatrain Causeway” instead of Pontchartrain Causeway That’s right, the designer made 2 mistakes in one word! I question the state logo/nickname! Creole State? Should be Sportsman’s Paradise or Pelican State!!! Never seen or heard my home state called the Creole State! Very inappropriate and racist! My understanding, Starbucks is not always able to choose the most common nickname for the State due to legal reasons or what not. When I search for a list of nicknames for Louisiana, Creole State pops up here and there, so I believe it is or was used at some point. What are the wooden oil rig looking things below the pelican supposed to be?